How Does Cheek Enhancement Work? Cheek Enhancement (augmentation) is an effective, non-surgical, and minimally invasive option for those who wish to have more volume in the cheekbone area and enhance their overall facial contour and balance. Because the cheek area is augmented with an injectable dermal filler, the results are more natural, require little down-time, and have a low incidence of side-effects. Additionally, because no general anesthesia is required the client may control her/his outcome by looking in a handheld mirror and providing feedback to Dr. Sina throughout the procedure. Traditional cheek implants are surgical, invasive procedures. Either silicone or fat is implanted into the cheekbone area. Surgical implants are done under general anesthesia with an incision made inside the mouth, through which the implant is inserted. The recovery can be painful and the outcome may not always be as desired. Dr. Sina prefers to use either the Radiesse® or Juvederm® dermal fillers. Both fillers are FDA approved, and hypoallergenic. 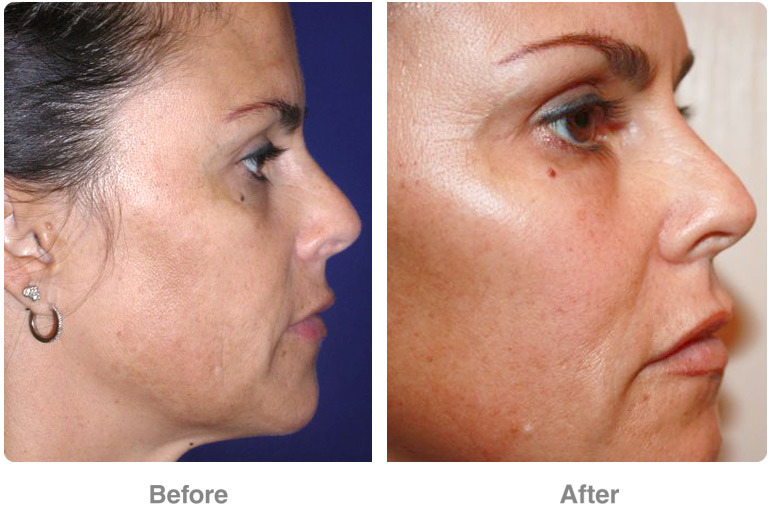 Juvederm® has the benefit of being a reversible filler. During your free initial consultation, Dr. Sina will determine which filler is ideal for you and your desired results. In consultation with Dr. Sina, you will discuss your options for cheek augmentation, as well as your reasons for wanting the procedure. The best Cheek Treatment in Rancho Cucamonga, Fontana and Upland will vary based on the specific needs of the patient. Cheek implants, made from either silicone or high-density polyethylene, offer a more permanent solution, while fillers can last for anywhere between four months and two years. Dr. Sina will also take a full medical history, to ensure there are no underlying conditions that could impact the success of your surgery.